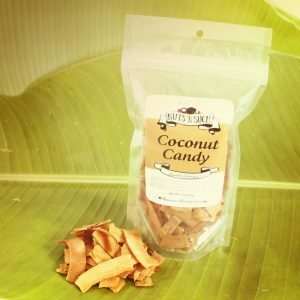 Our sweet and spicy island style coconut candy. 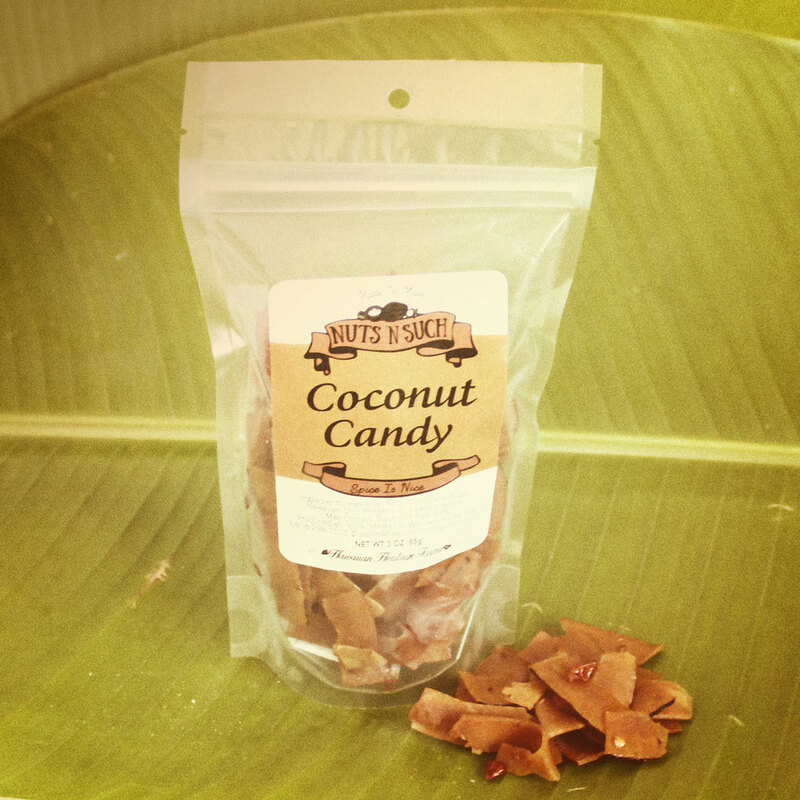 Auntie Jeanie’s coconut with an extra helping of cane sugar, real vanilla beans and Hawaiian chili peppers make this coconut candy addictive. 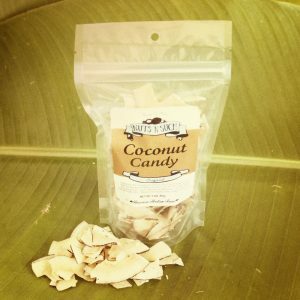 The lingering spice of this coconut candy will have you coming back for more! Naturally vegan and gluten free. Available in 1.25 or 3-ounce packages. 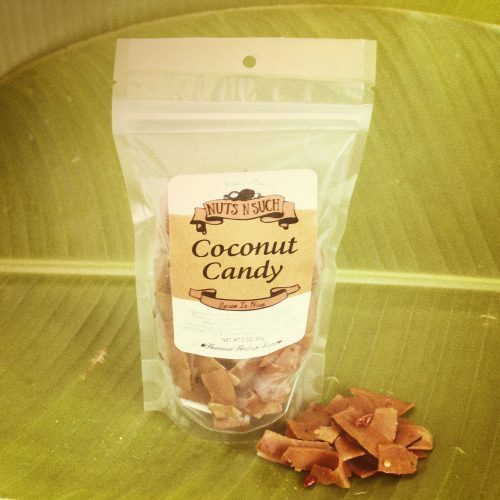 Ingredients: Hawaiian Coconuts, Cane Sugar, Hawaiian Chili Peppers, Vanilla Beans.